Are you looking for a user manual for your Micom-X HF/SSB radio? Look no further, you can download a scanned copy here. Beware that it is about a 4MB PDF. 1. Select the channel you wish to program (Note: The channel must be enabled for User Programming for this to work!). 2. Push the "FUNC" button twice and hold it for 3 seconds, until "NEW FREQ" appears in the display. Select the digit to change with the "MON" button. Use the scroll up/down to change the value of the digit. Continue until you have programmed the entire frequency. 4. Push the "FUNC" button and "BAND" will appear - use scroll up/down to select USB or LSB. 5. Push the "FUNC" button and "PWR" will appear - use scroll up/down to select between MAX/HIGH/MED/LOW. 6. Push "FUNC" and "AGC will appear - use scroll up/down to choose between SLOW/FAST. 7. Push the "FUNC" button and use scroll up/down to choose between SSB/AME/PLT. "BW" sets the receive bandwidth - for SSB voice, leave it at 2700. Other settings include 3300 and CW. "FREQ" If you set it to "YES", ALL channels will be displayed as frequency instead of channel number. NO selects channel number display. Note: This will affect the radio until reprogrammed even if you choose "temporary change" below! For a temporary change, push the "PRI" button - the original channel info will return when you re-select this channel. To save the change into memory, hold the "FUNC" button for 3 seconds until "STORING" appears in the display. Then switch the radio OFF, then ON. 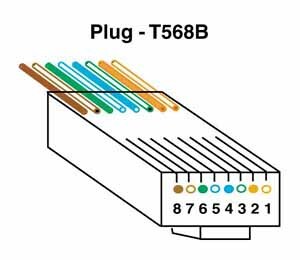 The orientation of the RJ45 is with the tab down and if you are looking at the end of it, pin 1 is on the right. Click here for a visual aid. No RIB is required, it is straight RS-232 into the radio.